Team Order Deadlines: Team suits should be purchased in person from Simply Swimming on April 18th or as soon as possible thereafter. The deadline for swim caps is May 6th. The deadline for all other apparel items is May 16th. If you weren't able to make it to one of our team fitting nights, do not fret. There's still time to get your swimmers and divers fitted with this year's suits, as well as to pick out HFSC apparel for the entire family. 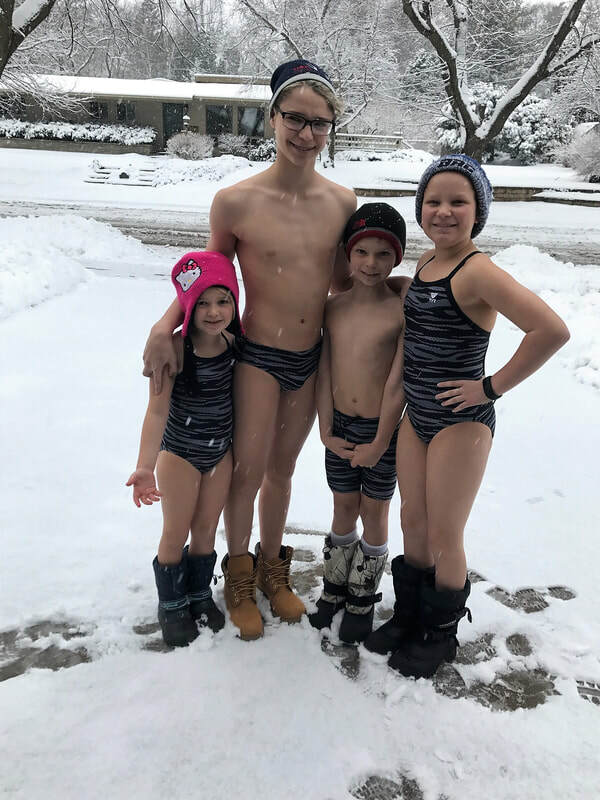 The 2018 swim/dive team suits are available now at Simply Swimming (in Middleton) for fitting and purchase. In the event that Simply Swimming no longer has your size(s) in stock, they will get your suit(s) ordered for you as soon as possible and will make every effort to ensure your swimmer(s) and diver(s) have their new suits in time for the first meets of the season. Please be aware that Simply Swimming serves many other area teams, so please check their fitting schedule on their website at: www.simplyswimming.net/pages/fitting-dates.html to avoid going during another team's fitting. 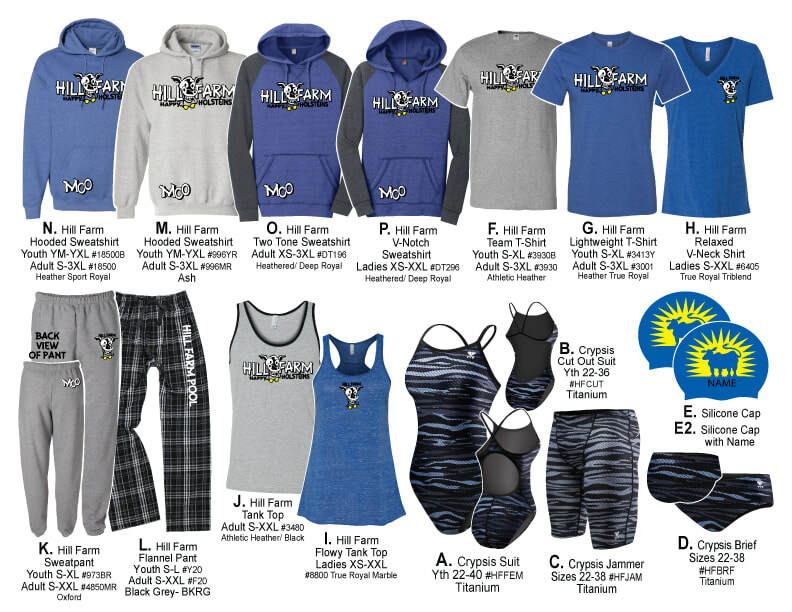 Additionally, sample sizes of this year's awesome Hill Farm Swim Club apparel are on display at Simply Swimming for sizing. 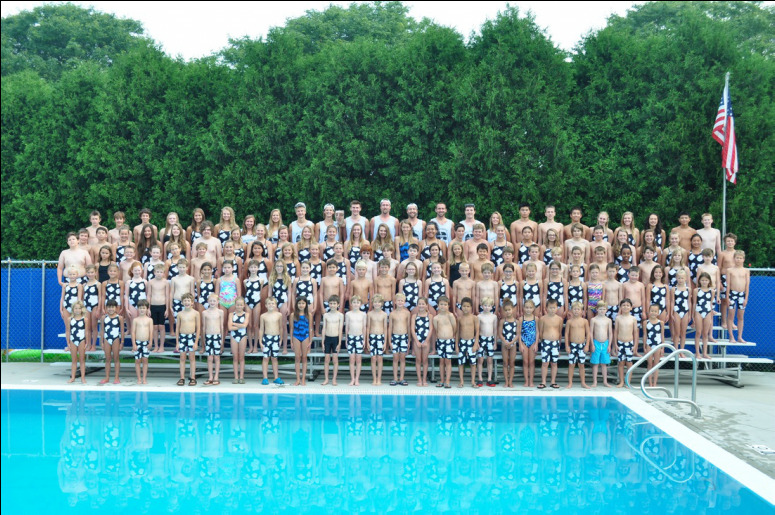 We would love to see all of our members wearing their Hill Farm Swim Club pride this summer!